-Ability to work under pressure, think on the drop of a hat to solve an issue and stand/walk for long hours anywhere from 6-10 hours at a time. -Always demonstrating a positive and energetic attitude. Weddings are the happiest points in our lives, whether you;re the bride, groom, parents, aunts, uncles, grandparents, best friends or an emotional second cousin twice removed and they want to feel that you share in their happiness. 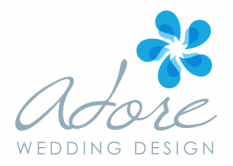 -Experience with weddings, design or artistic background. We understand that everyone has to start somewhere. You may not have had the chance to be involved in the production of several weddings or events, but if you have an eye for details big and small and have even attended a few weddings to understand how they are run, then please apply!